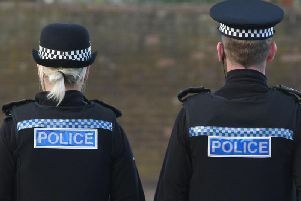 A single mum who assaulted a police officer and got arrested after a night on the town has vowed never to go out again. Melissa Parker's meet-up with friends, which she had been looking forward to, had started to go downhill when she was thrown out of a nightclub after being found in the men's toilets. The Padiham mother-of-two, who says she rarely goes out or drinks alcohol, was fined £70, with a £30 victim surcharge and must pay £50 compensation and £400 costs. Parker, of Whitegate Close, admitted police assault, on September 23rd. Miss Enza Geldard (prosecuting) told the court the defendant was arrested at 2-45am, on Hammerton Street in Burnley, near to Vogue nightclub. The police officer became aware of an apparent altercation between the defendant and a member of door staff at Vogue. Miss Geldard said the officer went to intervene and Parker stumbled down the steps, lunged back aggressively towards the door staff and then threw herself on the ground in front of a car. The officer went to remove her from danger and the defendant was demanding her phone, was shouting aggressively, was abusive to the officer and pushed her forcibly in the chest with both hands. The prosecutor added: "After that, the officer tried to detain Miss Parker and arrest her, but she has lashed out and tried to evade arrest. She was taken to the floor, all the time violently resisting." Mr Trevor Feehily (defending) said: "She does accept that she has consumed far too much alcohol on this occasion. At one point in the evening, she had gone to the toilet. It wasn't clear which was the ladies and gents and she had gone into the wrong toilet." Sentencing, the Bench chairman told Parker that assaulting a police officer was "just unacceptable behaviour." The defendant claimed she had scars to remind her of the incident. She added: "I'm not going out ever again."